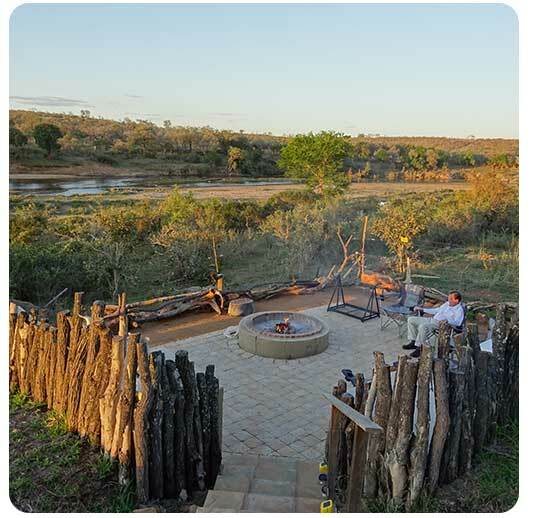 Mjejane River Lodges are exclusive privately owned self-catering lodges on the banks of the Crocodile River in Mjejane Game Reserve which has been incorporated into the Kruger National Park. 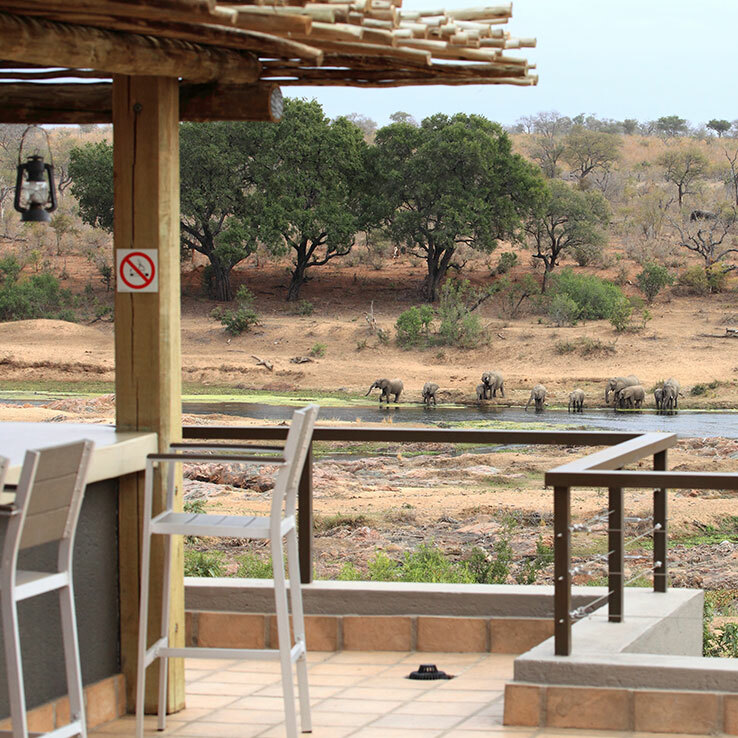 All lodges enjoy extraordinary views of Big 5 territory. Game viewing is unmatched. 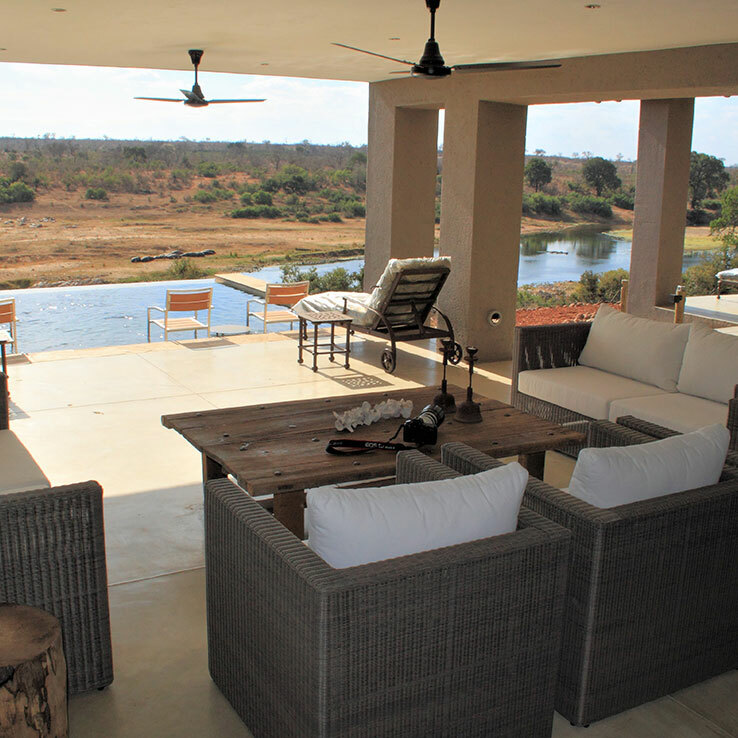 Ancient game trails converge onto the river’s edge directly opposite each lodge. 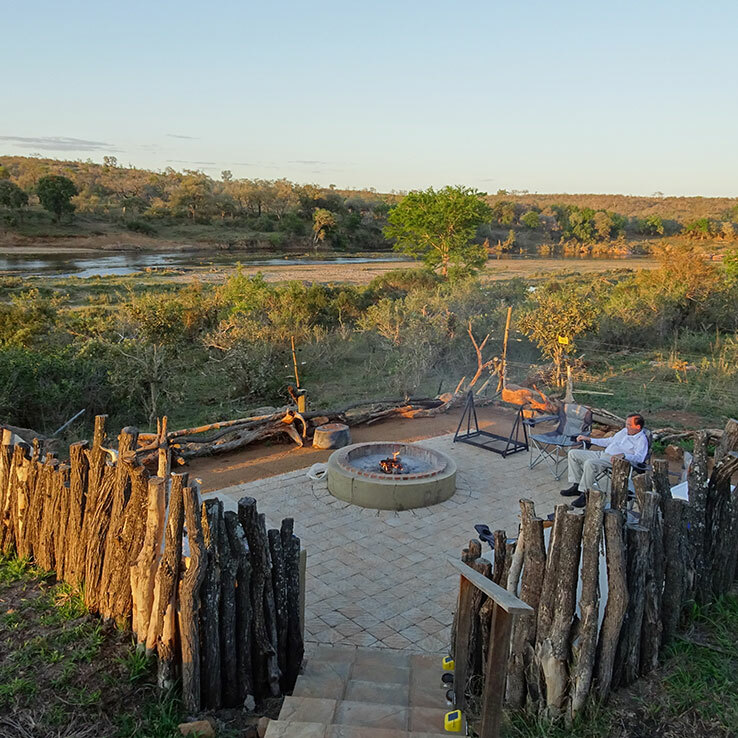 The riverbanks are favourite resting and drinking spots for herds of elephants and buffaloes as well as hippos, giraffes and more. 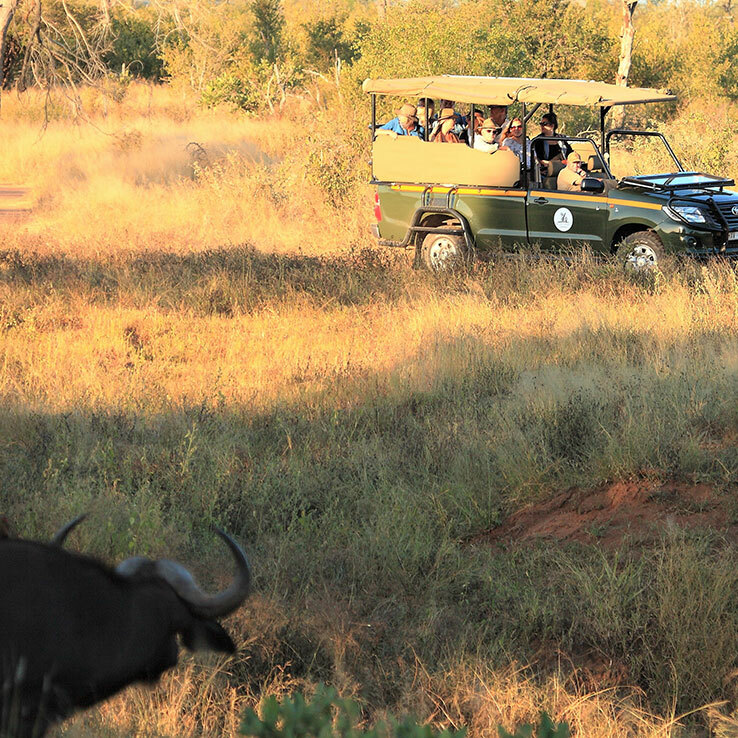 Predator activity along the river is high with frequent sightings of lion and leopard. 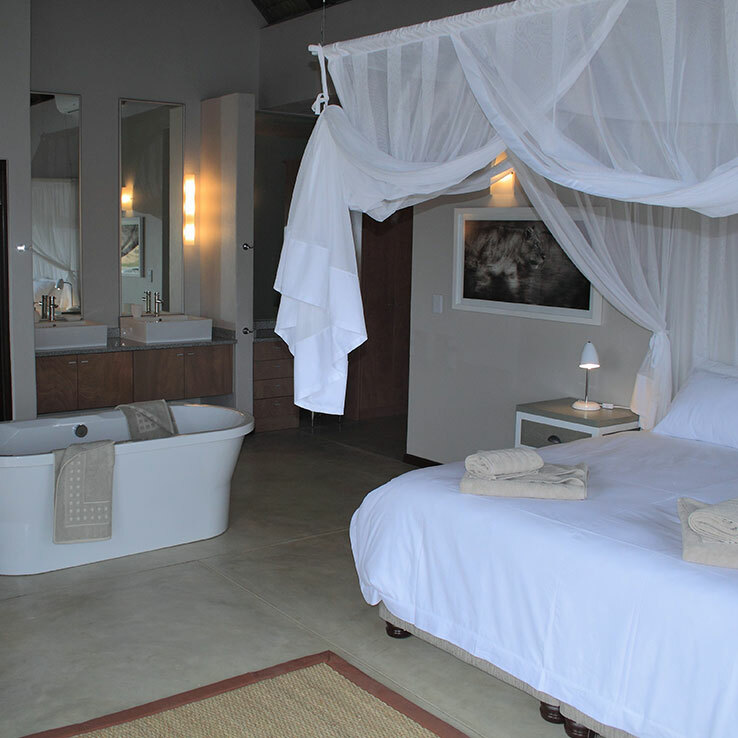 Depending on whether the lodges have five or six bedrooms, they accommodate a maximum of 10 or 12 occupants. 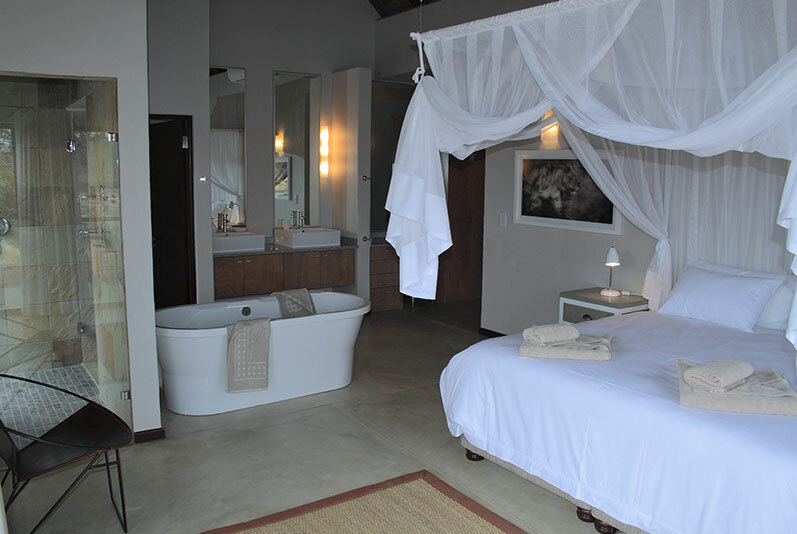 All tastefully decorated bedrooms have en-suite bathrooms and outdoor showers. All beds are under mosquito nets. 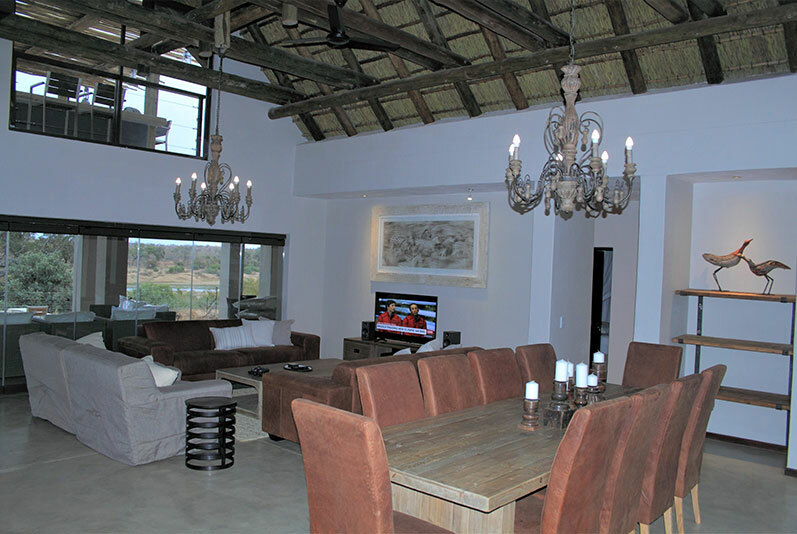 Each lodge is entered via an enclosed courtyard which leads into a spacious open plan lounge, dining room and kitchen area. 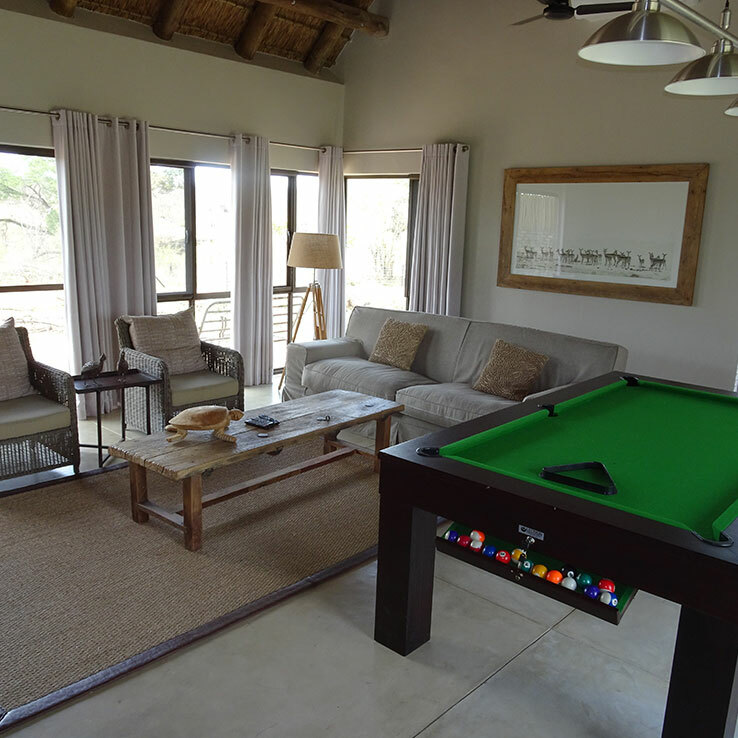 A separate games room with DSTV and billiard table opens onto a private deck. A fully equipped kitchen with sufficient fridge and freezer space for a full complement of 10 occupants leads into a scullery with a freezer, washing machine, tumble drier, and dishwasher. The lounge opens via frameless glass stack doors onto an expansive undercover riverfront living area with built-in barbeque, comfortable seating and a dining table for al fresco meals. 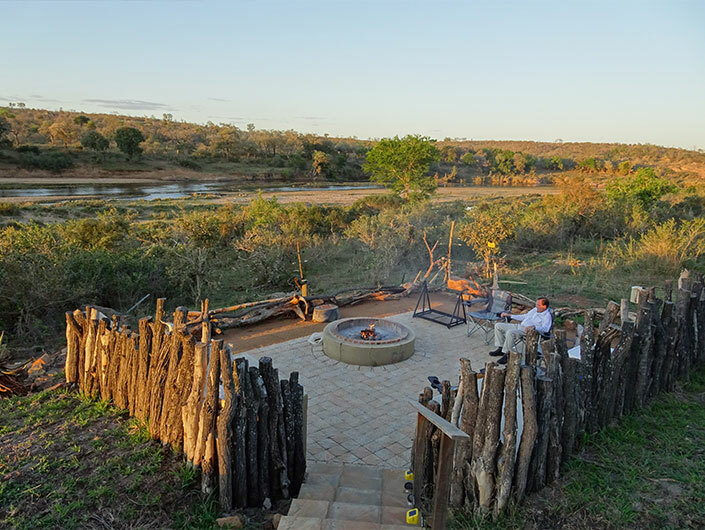 A walkway leads from the patio to a boma with firepit. 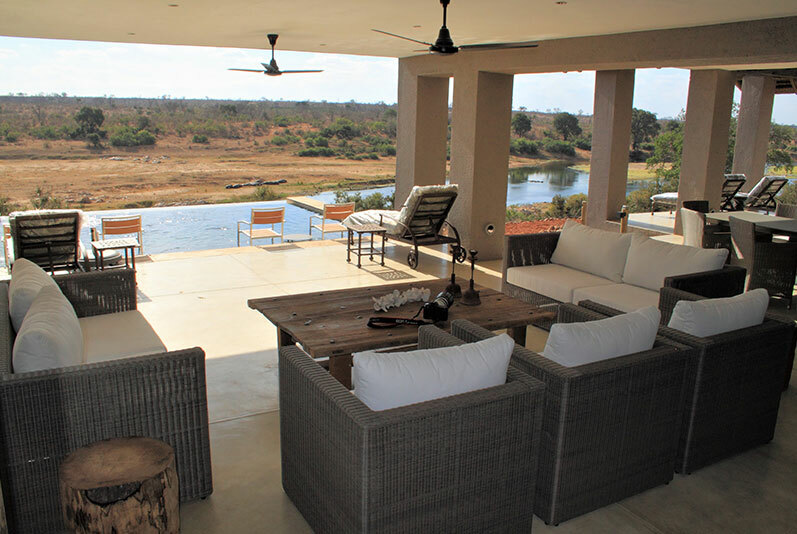 A rim flow swimming pool with martini seat overlooks the Crocodile River. 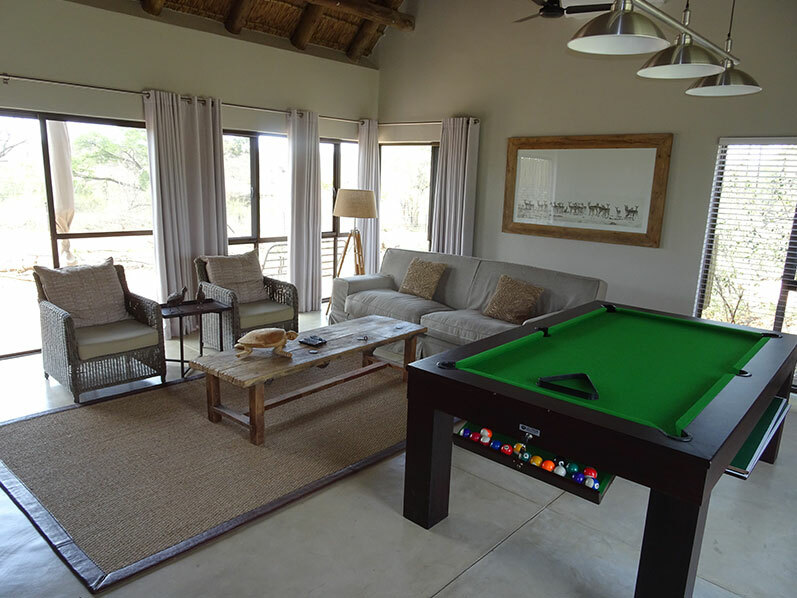 The lodges all have impressive upstairs viewing decks with a pub and outside shower. 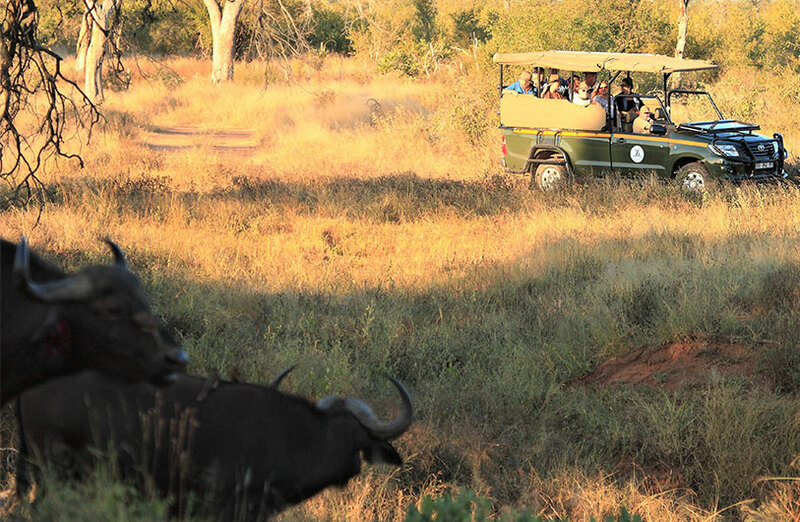 The lodges are under the day to day supervision of dedicated FGASA accredited game rangers who are available to take guests on game drives in the lodges’ own open safari vehicles (billed separately). 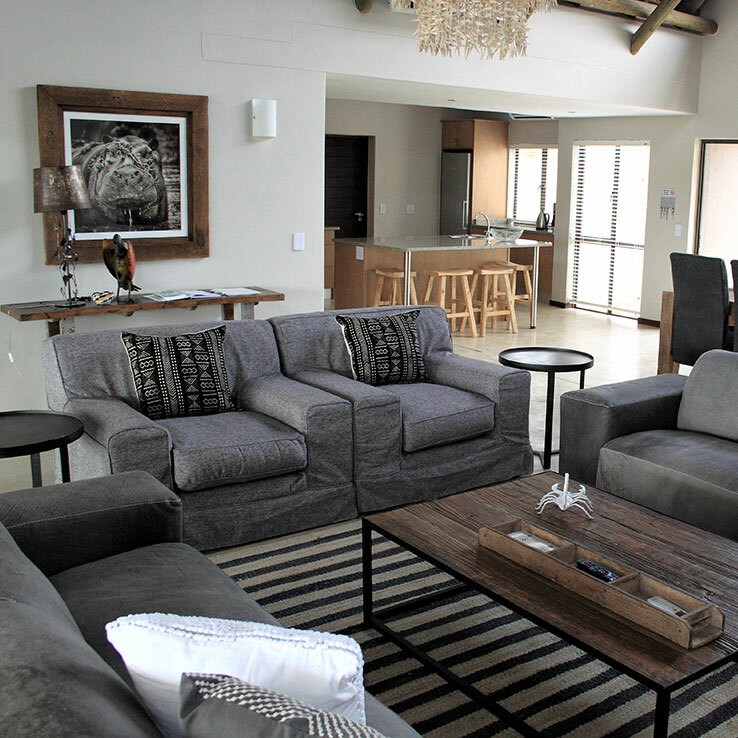 The lodges are serviced daily except Sundays (an optional extra). Further details available on request. *Please note that these pictures are for illustrative purposes only. 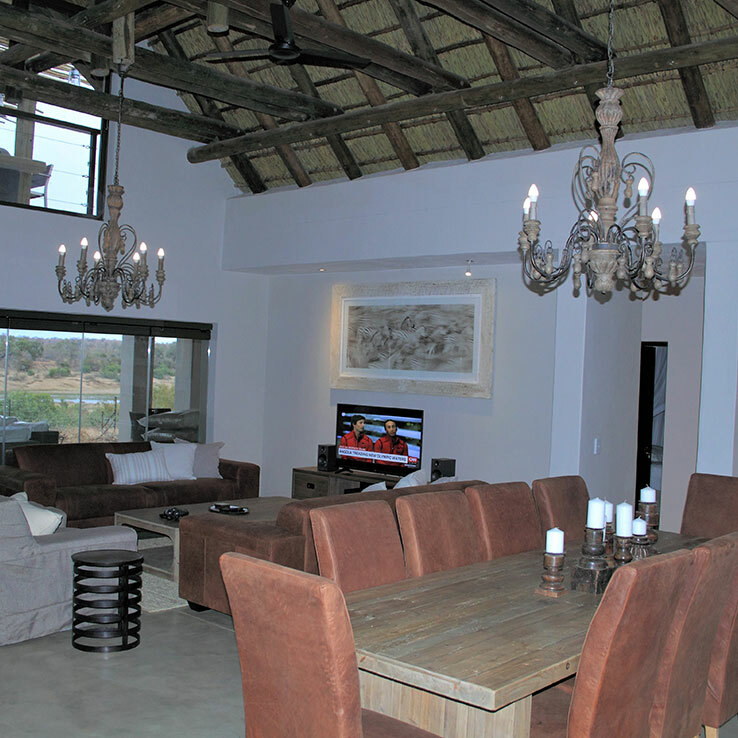 Each lodge is decorated slightly differently. All enjoy the same high standards. 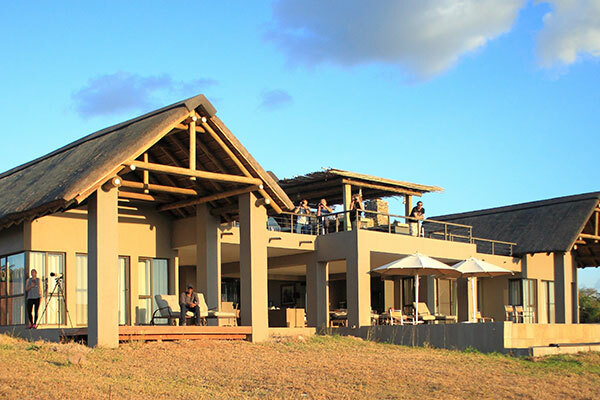 The base rate for the entire lodge per night for the first 4 people is R6000. 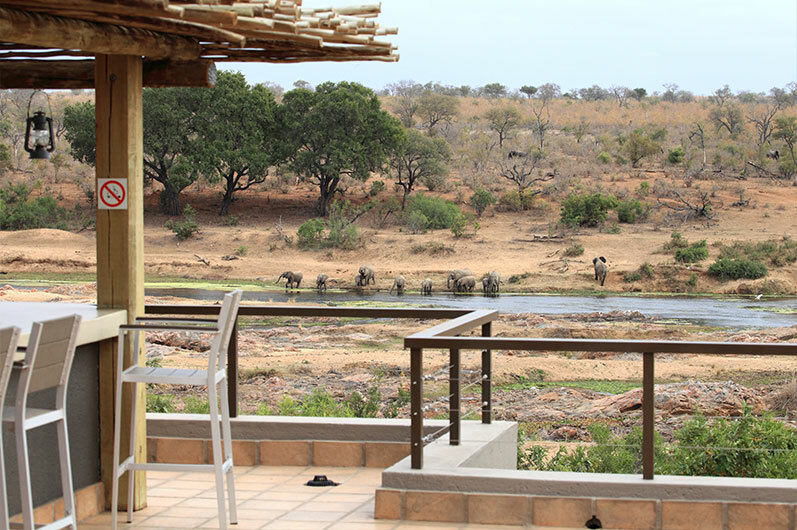 Thereafter the rate is R800 per person per night up to the maximum occupancy of the lodge. 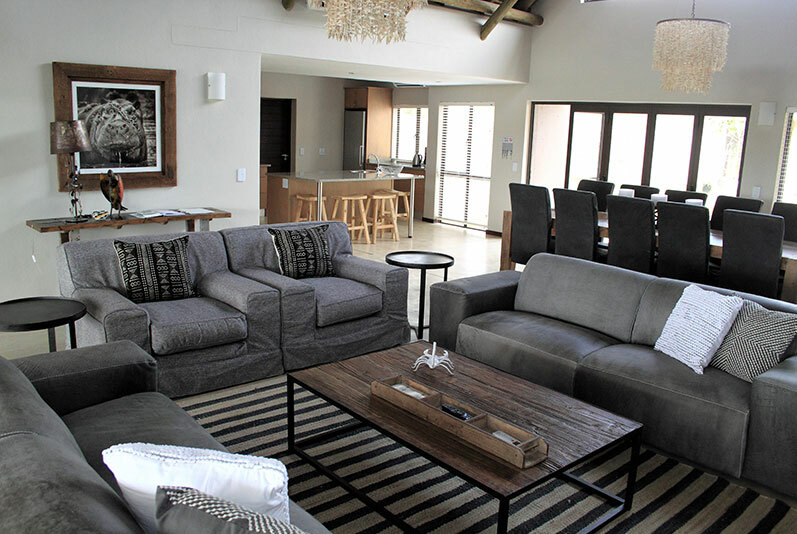 Some lodges sleep a maximum of 10 people. Others sleep a maximum of 12 people. Children under 12 are half price. 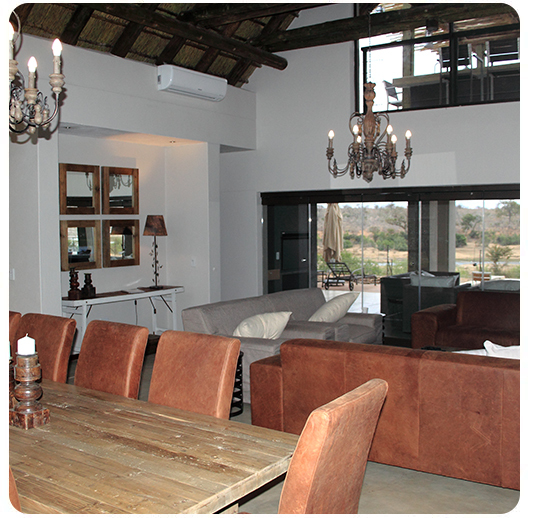 Please contact us for any enquiries on rentals for Mjejane River Lodges.